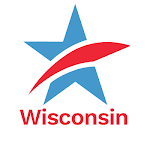 Listen as CC/WI executive director Jay Heck talks about the need for reform of the state budget process -- including the removal of an exemption to Wisconsin's Open Meetings Law. Even if Wisconsin does not clean up the veto abuse mess immediately, there are a variety of less ambitious but still important reforms that can and should be implemented. Legislators could start by opening up the budget process. As Jay Heck of Common Cause in Wisconsin notes, "(The) process of constructing and deciding the 2009-2011 budget was as secretive as any budget process in memory. Most of the key decisions and changes were made out of the public eye, often in closed partisan caucus meetings that excluded both the media and other observers. Only authorized staff were present while legislators made key policy decisions." At issue: Should party caucus meetings be open? Heck also said it is “incredibly irritating” for lawmakers to exempt themselves from a law they require other government entities to follow.